You often hear that your work attitude determines how high you can climb the corporate ladder. But at a junior level that you are now, what are some of the attitudes you can work on? There is so much advice you hear you are confused. One good advice I have gotten before is to start picking one work attitude and start working on it before moving to the next one. Working attitude is one of those topics that are easy to talk about, tough to do but simple in nature. Confused? Here’s what I mean – the concept is simple but executing is hard. Yet, those who have made the resolve to start working on improving their attitude often meets with success. Of course, remember to throw in patience as a key ingredient. Be courteous. You won’t believe the number of people who forget this basic attitude. Basic courtesy with words like “Please” and “Thank You” are vital in the work place. Good manners at work are good working attitude. Do not hide behind excuses like you are too stressed at work that you forget those words. Be humble when conducting yourself in the office. This is an often-overlooked attitude that can bring you far in the corporate world. Be courteously respectful of people in the office no matter what their rank and designation. Do be cautious about fake humility when improving on this attitude. There are people who fake humility in order to draw attention to themselves. Sincerity is an important aspect of humility. Be sincere when you are trying to improve this attitude. Being professional is a whole topic on its own. 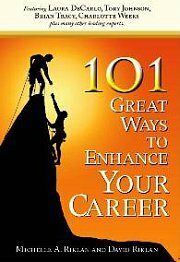 But for career newbies, be very conscious you need to have a professional working attitude. For starters, dressing correctly is part of a professional work attitude. Do not carry the casual dress code to the limits. Most workplaces have a clearly defined dress code. Make it a habit to be punctual for all appointments. Whether it is a meeting, a business lunch or handing up an assignment that has been given to you, make sure it is on time. Procrastination is a very bad attitude that can limit your career move. If procrastination is the attitude you have, quickly work on changing it now. As someone who had this problem in my junior days at work, it took me huge efforts to make positive changes. But it CAN be done. So, start doing it now! For most people, this is probably the easiest to improve. But I caution you, most people will feel they are very pleasant to work with; hence there is no need for improvement. Ask for frank feedback from your co-workers or discuss this with your supervisor. If you receive less than positive feedback then it is time to get started on being pleasant to work with. There are a few things you can do to improve this work attitude. Smiling is one. Smile often even when the going gets tough. I know it is difficult. Try getting into the habit of smiling even when stressed. You will soon notice there is less knotted facial muscle and people will work better with you. Of course, there are countless work attitudes that you can choose to improve. Choose one work attitude you feel easiest to tackle. This is especially important if you find there are just too many things you need to concentrate on as a career newbie.